I am trying to connect to a Push Topic via the Salesforce Streaming API using Python. My application completes the initial handshake correctly, but then fails on the following connect call, with the error: "403::Unknown client". After reading this however, I am no closer to determining what the actual fault or problem is, or how to remedy it. I have tried a lot of different things and am at a loss at how to get it to work. I am using this Bayeux client library https://github.com/dkmadigan/python-bayeux-client, with some custom amendments to get the authentication working. Did you get a chance to try the workaround mentioned in the known issue page? Hi Ben, I tried to use the same Bayeux client library and encountered the same 403 error. Did you resolve this issue? Any help will be greatly appreciated. For those who are still struck at this issue-> This issue results wheneva cometd is not configured properly or the libraries are not loaded properly. If you configuration is correct, try the handshake once all libraries are loaded fully. Delay solves my issue. LIke Sumit said, I guess it is because the libraries are not loaded properly. But how can I know 2000 is enough for complete loading? Instead of using a timeout, just put the CometD subscription handler in afterScriptsLoaded. I have my code set up like you suggest (to run afterScriptsLoaded) PatMcClellan__c, but I continue to get 403 errors every few seconds. I handle the error by re-subscribing to my topics and this works fine, but the long polling doesn't restart after the 403 error. Any suggestions? Hi Stephanie, I don't have a solution, but I can commiserate! I'm having the same issue and trying to figure out the best way to mitigate it. About half the time, it won't establish a connection. Then, the other half, it will establish the connection but will fail after the first successful execution of it. About 1 in 50 tries, it establishes a robust connection that reestablishes consistently after each transaction. Please post here if you figure out something, and I'll do the same. I'm having the same issue with subscriptions, I can't figure it out yet how to make it work. I'll keep You post on this as well. I was able to speak with one of the developers on the Streaming API team. We found that my issue is due to lightning notifications also utilizing cometD and that multiple clients are not currently allowed. When it notices that there are 2 clients (1 is my app, 1 is the notifications platform), it kills the app client. Easiest workaround for me was to turn off notifications (Setup>Apps>Mobile Apps>Salesforce>Salesforce Notifications> Uncheck All), but this will get rid of the notification bell in the top right corner. Next option is to wait for the next release which (Safe Harbor) should have a big update to the streaming API. I'm going to continue digging to see if there is a way to have both features enabled - if I find anything I will let you know. Stephanie... THANK YOU. That is an immediate fix to my app. Now it is rock-solid! That gives me assurance that my code is right... now, as you say, we need to figure out how to make it work without disabling Notifications. - whenever 403 error occurs you will be getting connection broken. SO do one thing add listener metaUnSucessfulListener. Once you recieve the error, the method will get called and in this method first unsubsicribe the existing insance of cometd, create fresh instance. See Stephanie Cory's post above. In Lightning Experience, in-app notifications are enabled by default and they use the 1 available CometD channel. If you want to use Streaming API (which uses CometD), you have to turn off in-app notifications and push notifications. They're working on an overhaul, but it won't be before Winter '19 at least. @Toby s 1, I've got it working for me, but it was largely through pulling code and methods from the CometD documentation, not through a thorough understanding -- I'm not expert enough to spot any errors in your code. Here's the JS controller I'm using -- including lots of console.log statements to help track what's going on. (I use lots of emojis in my console.log and system.debug statements to help me find things quickly in the logs.) This is the controller for a component that is nothing more than an indicator "light" that turns green when v.Connected is true, or red when it's not. 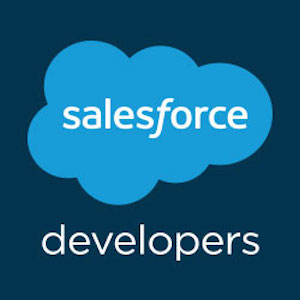 Hi, we implemented a client for connecting to a Push Topic via the Salesforce Streaming API in Java, using as example the EMP-Connector. The problem is after the second handshake, no event is received from other channel. According to the log above, it seems that the reconnection works fine. Any ideas?